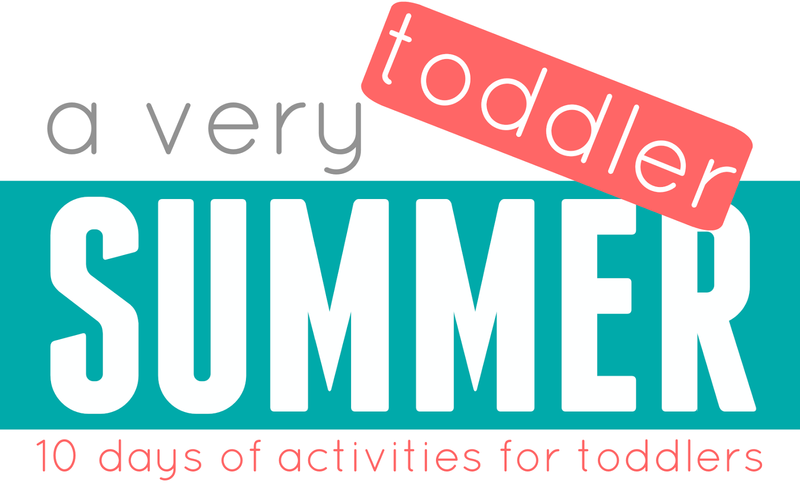 Our "A Very Toddler Summer" series has been so much fun! 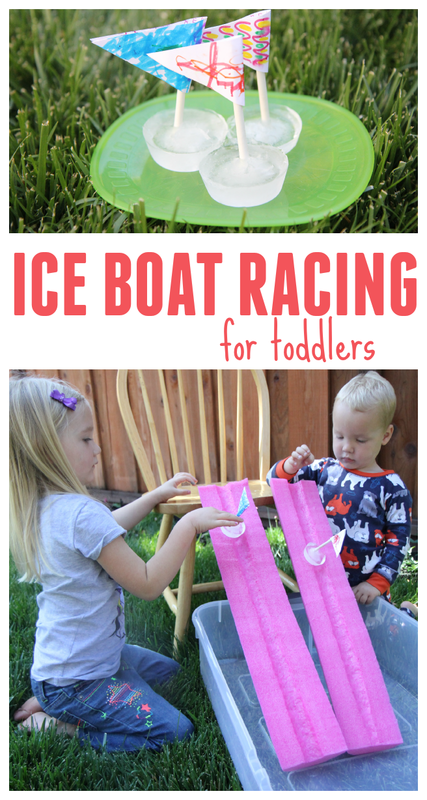 For our Day 6 activity we are sharing a super simple icy activity... ice boat making! Ice boat making is a classic favorite activity at our house! My toddler loves anything that moves and LOVES ice so he was very excited when I told him what we were making today! Ice boats don't require too many materials and once they are made it is time for ice boat racing!! To get started we made our ice boats! We started by filling up our small cups with an inch or two of water. Then we placed a piece of foil on the top of each cup and sealed it closed. Next we made a small slit on top of the foil and stuck a small stick through the hole. If the foil teared at all we just added a little tape to close up any tears. After that we placed the cups in the freezer overnight. Next the kids used some small pieces of paper and markers to make some sails for their boats. Once the boats were frozen we taped the sails to the sticks and they were ready to race!! To get started racing we cut a pool noodle in half long ways to create two long racing lanes. We set the pool noodles up as ramps using a chair and a tub of water with an inch or two of water. To remove the ice from the cups we just quickly ran the cups under water and the ice popped out. Next we grabbed the boats and we got started racing!! I took turns racing with my toddler and my preschooler also joined in. We yelled, "on your marks, gets set, GO!" Our pool noodles just balanced on the edge of the chair. If your kids knock them around then just secure them in place with some painters tape or masking tape. Our ice boats just slide down the pool noddles inside the little grooves. You could also just cut your pool noodles completely flat so that there aren't any grooves at all. This activity was such a fun and simple way to introduce the concept of liquids and solids and have a fun sensory experience playing with ice! The kids loved touching their ice boats and and talking about how freezing they were! On a hot day this is so much fun to try and it is cool to see how fast the boats melt as well! Have you ever made ice boats? 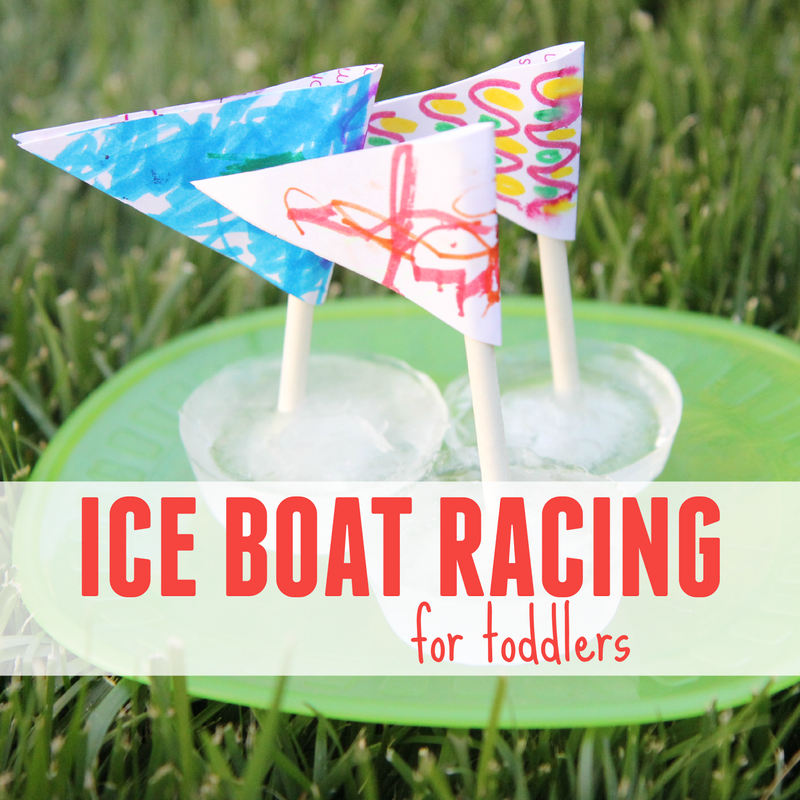 Have you ever tried ice boat racing? What other fun ways do you like to play and explore with ice? It could get difficult at times coming up with a bonding activity for us to plan for the children which is fun and interactive while making sure it is safe at the same time. This ice boat is a great idea that requires only a few materials that do not even cost that much. My toddlers and I did this activity today. Awesome fun! I used juice to make the ice. The kids enjoyed the hot summer treat. Thanks for the GREAT idea!